I am not sure what factors contribute to the formation of a "people pleaser" such as myself – being from a large family? Being a middle child? Being a girl? Being a chubby girl? Being insecure? Fear of making waves? Just being plain hungry for love? All of the above? None of the above? How ever it came to be in me, it's there. I wanted to be popular in school and even now it bothers me - probably more than it should - when I think someone may be angry with me, or not like me. I was reading in 1 Peter 4 about suffering for your faith, and I have just realized that it is ironic that a person such as myself - a people pleaser to the core - would choose to become a Christian. Because even though there's no actual physical persecution occurring right here and now, Christianity is just a turnoff to a lot of people. 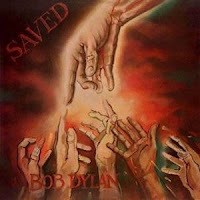 One biographer of Bob Dylan had a theory that Bob's Christian phase was designed to alienate people... if that is the case, it worked splendidly. He got a lot of "boooos" during that era... although I have to say that Saved is a fantastic gospel album. In the past - and also in the present in some other countries - Christians were/are persecuted... executed, imprisoned, exiled. Here and now, it's a little more subtle... 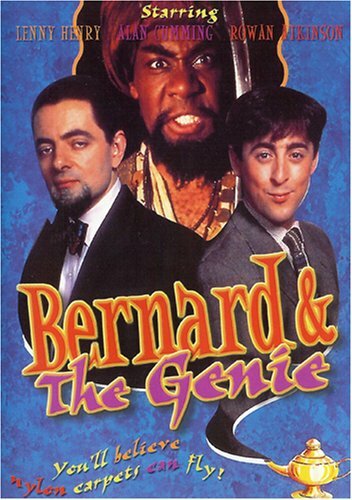 In the movie Bernard and the Genie, the genie, who is 2000 years old and from somewhere in the Middle East, recommends that Bernard, a modern-day London art dealer, slay his enemy. Bernard says something like, "That's not how we do it now - it's more like, we give them a dirty look, or we shun them and maybe get our friends to shun them." That's the kind of "persecution" Christians face here and now. Here's an example from my own life: I have a friend who throws awesome parties, but never invites me. Eventually a mutual friend told me that she didn't want to offend me with the drinking and carousing that inevitably went on. I felt better, but I also had to hope I don't put off a disapproving, judgmental vibe. And there's mockery. People, TV, movies love to mock us! I can't say that some of it isn't deserved. We are pretty funny. And sometimes real harm is done by people who call themselves Christians. I am not denying that. Some horrible things have been done in the name of Christ. But that's not what I'm talking about. I'm talking about everyday people who are just trying to love them some Jesus. So we get shunned and mocked... I'd say we have a pretty good deal compared to Christians in other eras, or places. Freedom of religion is a beautiful thing. A while back, I read a book called "The Mystery of Providence" by John Flavel, a Puritan writer who wrote in the 1600s. At one point he says something like: be thankful you were born here [England] instead of in America, among the savages. As an American, I found this funny... especially since it is a great place to be any religion you want without fear of real, physical persecution. Still, to someone like me, who really, really cares if people like her, the subtle slights can cause real pain... When I think about it, that just might be an intriguing recommendation for the faith – that a person whose purpose up until now has been to please people, is so sure that Christianity is all true, that she will go against her own natural grain... stepping out into an area that is a little scary, and damned uncomfortable.